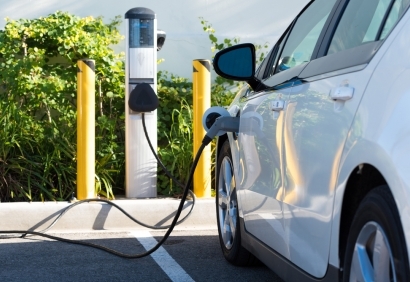 During 2016, the California Public Utilities Commission, approved charging station deployments by all 3 California IOUs (major public utilities). This week, the CPUC approved a compromize plan for 7,5000 EV charging stations PG&E, bringing the total number of anticipated utility-owned or supported stations in CA up to around 10,000. Utility Ownership or Charge-Ready Setup? PG&E originally proposed having rate payers pay for then have the utility own 25,000 charging stations in its territory, at a cost of around $650 million. This original proposal was rejected for the new compromise - now at around $130 million - which allows PG&E to "rate base" getting the locations ready and owning some moderate portion of low-income and multi-family based charging. PG&E will be able to own and operate up to 35 percent of multi-family dwelling and disadvantaged community installations. Still, those site hosts will be able to choose their own charging station provider, and will have an option to own the equipment themselves. The compromise ownership is meant to create "a hybrid ownership model whereby the site host has flexibility to choose to own the electric vehicle charging equipment or have PG&E install, own, and operate all the equipment. ", said CPUC Commissioner Carla Peterman. California currently leads the country in electric vehicle ownership, and has set a goal to have 1.5 million EVs on the road by 2025. Is this the future for utility involvement in developing the supporting charging station infrastructure?